Audiences worldwide have been transfixed by the Shakespearian twists and turns that saw Malaysia’s opposition defeat the world’s longest-ruling coalition. But the unprecedented May 9 win was also the culmination of a decades-long civil rights movement by activists who took great personal risks to bring about change. Yet there is something else all of these examples cited in The Diplomat’s article have in common. They are all either directly funded by the United States government through the National Endowment for Democracy (NED), or their activities are facilitated by other organisations in Malaysia that are. In essence, The Diplomat’s piece is arguing that the organisations they covered represent the custodians of Malaysian democracy, and thus play a role in determining Malaysia’s future. Yet the disturbing common denominator among them indicates a paradoxical dilemma. If these custodians themselves are a function of foreign influence, how could they possibly play a role in the Malaysian people determining for themselves a path that serves their own best interests and not those of these organisations’ foreign sponsors? We begin with Maria Chin Abdullah, now a newly elected member of the Malaysian parliament. 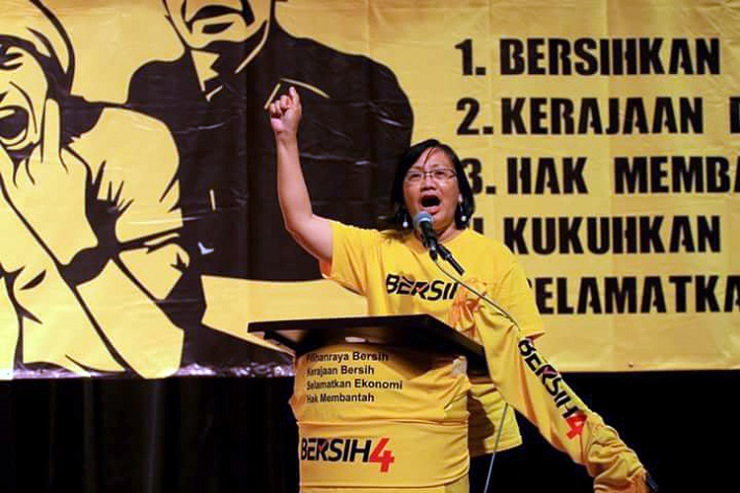 She had previously been chief of the Bersih street front whose rallies were regularly led by opposition politicians including Anwar Ibrahim who is now the defacto leader of the victorious Pakatan Harapan party. [Bersih 2.0 chairman Ambiga Sreenevasan] admitted to Bersih receiving some money from two US organisations — the National Democratic Institute (NDI) and Open Society Institute (OSI) — for other projects, which she stressed were unrelated to the July 9 march. Fellow Bersih steering committee member, Maria Chin Abdullah, explained that both NDI’s and OSI’s funding were specifically for to the electoral watchdog’s delineation projects. 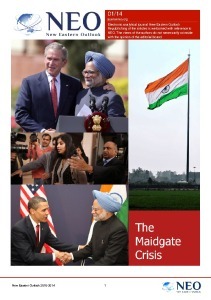 In July 2005, NDI organized a national-level workshop for party leaders on election reform. NDI has since conducted workshops across Malaysia to promote electoral reform in collaboration with Research for Social Advancement (REFSA), the secretariat for BERSIH. In 2006, NDI conducted a workshop for BERSIH that focused on pimproving the action plancs of each participating organization or political party. In 2007, NDI and BERSIH conducted a series of workshops in the politically neglected provinces of Sabah and Sarawak to educate previously disenfranchised political aspirants. It is clear that Bersih’s leadership, including Maria Chin Abdullah attempted to first conceal their US government funding from the public, then attempted to downplay the implications this funding had regarding their work. Bersih faces fair criticism over their stated objective of “clean, free and fair elections” contradicting the foreign interference their dependence on US government funding represents. The Diplomat next makes mention of Malaysiakini which describes itself as “independent media.” However its financial disclosures reveal it instead heavily dependent on foreign funding. Like Bersih, Malaysiakini is funded by both the NED and the Open Society Institute. It also receives funding from the Canadian government, the Asian Foundation (which in turn is funded by the US State Department) and the Media Development Loan Fund (which in turn is funded by Open Society). While political cartoonist Zunar’s financial sponsors are unknown, The Diplomat itself notes that work like his would not be published were it not for US government-funded media platforms like Malaysiakini. The advent of online media was vital in amplifying alternative views such as Zunar’s in Malaysia where the major newspapers and broadcasters have been under tight state control. “New technology, independent websites such as Malaysiakini, and social media, have played a really important role for people who would otherwise be unable to voice their opinions,” said Tricia Yeoh, an analyst from the Institute for Democracy and Economic Affairs, a Malaysian think tank. The Diplomat also makes mention of Malaysia Muda researcher, Fadiah Nadwah Fikri. While Malaysia Muda’s funding is not disclosed anywhere among its online presence, its activities include attendance at events sponsored by US NED-funded organisations. This includes the Institute for Democracy and Economic Affairs (IDEAS), also mentioned above in The Diplomat’s article. Under funding, IDEAS lists both the NED and NED subsidiary, the International Republican Institute (IRI), among its many foreign donors. Last on The Diplomat’s list is Lawyers for Liberty. It has received tens of thousands in US NED funding for years and while this funding is not disclosed anywhere on Lawyers for Liberty’s website, it is disclosed on NED’s. Lawyers for Liberty’s Eric Paulsen can be seen on social media using his US government-funded platform on a daily basis to demand policy changes from the Malaysian government, both before and after the recent elections. With many analysts are in agreement that the new government’s current leadership headed by veteran Malaysian politician Mahathir Mohamad will bring greater balance to Malaysian policy, it appears there are interests who would like to continue to expand both the reach and grasp of US-funded organisations. Like in other nations now fully integrated into Washington’s international order, these organisations are meant to operate first in parallel to existing state institutions, then replace them entirely. Examples of this can be seen elsewhere in Southeast Asia where Myanmar’s government is now run by senior politicians who have received training and support from similar networks of US government-funded influence interfering in Myanmar’s internal political affairs. 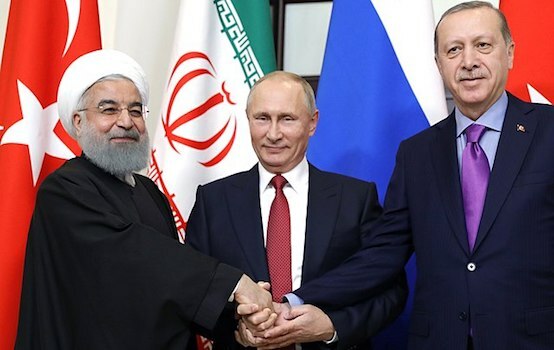 Failing a successful transformation into a US client state, these increasingly influential vectors of US interests can be used to create instability and pressure, leaving growing regional powers like China with dysfunctional states it is unable to partner and grow with. The most fundamental of all prerequisites of a truly “working” democracy is self-determination. Such self-determination is not possible if a nation’s institutions are dominated by individuals and organisations dependent on donations and directives from Washington.